Daycare in Langley & Coquitlam Talks Volunteering. Summer is finally here. For some families this could be more stressful then it sounds. The children are out for the summer and parents have to figure out what to do with them throughout the week. Do they go to a daycare summer? The decisions can be tough. Time needs to be scheduled off for family outings and family visits. The house needs a deep clean, the barbecues need to be dusted off, camping gear needs to be found and possibly replaced, and the list goes on. You may sigh or even think I am joking but I am going to suggest adding one more item to that already long list. Family volunteering. Between scrambling to get summer plans in order and spending money on vacations and trips, choosing a way for the whole family to work together in order to give back to the community could be great fun and forge new family bonds. Sharing the experience of volunteering provides parents, (grandparents, aunts, uncles, etc. ), a practical opportunity to model the type of behavior that the wish to see in their children now and in the future. Most volunteers, myself included, continue to give back to their communities through volunteer work because of the influence that their parents or other adults in their lives had on them. Volunteer work builds on family values. Children see and mimic how they see others treated by the adults in their life. They come to learn who is important and what is important by their parents’ actions. At Rainforest Daycare, we encourage our preschoolers to give back to the community in various ways. A simple example our daycare have done is adopting a portion of our avenue. We keep it clean by picking up trash with gloves and tongs and as educators we point out how safe we’ve made the area for not only passersby but also our furry squirrel friends. Just as we wouldn’t want to eat or live in garbage, they don’t either. Both of our daycare locations also sponsor a family each Christmas. With the help of our generous childcare parents, we’re able to provide clothing, gifts and food for a family in need. Blankets, jackets, socks and other warm clothing are collected and handed out. We also collect food for the food bank. The children at our daycare in Langley and Coquitlam talk openly about the experience of volunteering and have even come to us with suggests. Remember, these are 3-5 year olds. It’s pretty amazing. Volunteering as a group can make a seemingly boring activity fun and exciting. Let’s face it, volunteering is a very social experience and if you’re anything like me, socializing with strangers is one of the worst things ever so being able to experience it with people that I know and love is ice cream with a cherry on top. And if you aren’t like me, then what are you waiting for, volunteering can be your new thing? Volunteering may not be the norm as a family activity so the excitement of trying something new can add to the overall enjoyment of experiencing social service. Those teenagers in your life could benefit from putting the cell phones down for an hour one day too. Volunteer work looks great on a job application, and who knows what a few hours of volunteering can spark inside of a young person. I’ve mentioned a lot of ways that family volunteering can benefit your life and your family but volunteering is supposed to be about a selfless act of kindness. Your kindness can mean the difference between one set of extra hands and five. Like voting, every one, no matter how small the contribution, helps. This is what our daycare kids learn. 1) What do we enjoy doing? The word ‘volunteering’ always seems to bring to mind an image of labored servitude that’s dirty and no fun at all. It’s okay to think that. But in today’s world there is a plethora of fun ways to give back. Literally ask yourself what you love to do…not how you’d like to give back, and you’ll be able to find something that suits you perfectly. If your family is musical you can volunteer at a local nursing home or hospital entertaining its residents. If your children love animals it could be fun to volunteer your time a local shelter walking dogs or at a rescue caring for pets without a forever home. This is an awesome option if you live somewhere that doesn’t allow pets but you’d still like to experience the love that an animal can give or your child really wants a pet that you aren’t able to provide. Is your family the ‘outdoorsy’ bunch? Do you have young children who love to get their hands dirty? Lots of charitable organizations have small garden plots. Look one up and offer a helping hand to tend the garden. 2) What kind of world do we want? As a volunteer myself, I tutor literacy at a local school. I have to admit that I was shocked to learn how many grade school children cannot read or write. I was even more shocked to learn that children living in my community where not getting enough to eat on a daily basis. That is not the type of world I wish to raise my children in and it is not a world that should even exist. I’m sure you’ve heard this statement a few times but “Be the change you want to see”. There’s nothing else to it. Volunteer Canada has, with conjunction with Manulife Financial, developed the Volunteer Quiz. By taking the quiz you can easily find out what type of volunteer you are. At the end of the quiz, you’ll also be provided opportunities that suit your interests. 3) How can we make volunteering work for us? Once your family has shown an interest in volunteering; there maybe a few processes that need to be worked out. Families have all type of activities already in their day (even including picking up and dropping off at a daycare) and finding a great balance so that volunteering doesn’t interfere can be tricky. Contact family or friends who have volunteer experience, they may have some helpful insight. Don’t be shy to ask organizations about family volunteering and what types of options they provide. You should also ask about how rigid volunteering is with respect to hours/days etc. A few organizations require a minimum commitment or they might require some training. Only commit to what you can do. There’s no worse feeling than bailing out of volunteer work. It’s not like a paid job where a replacement can be easily found on short notice. Canada has 161,000 plus charitable and non-profit organizations that rely on volunteers. Almost 2 billion hours are donated each year by already hard working Canadian to make the communities that we live in a better place. Imagine if all of those volunteers and all of that time dried up? What would your community look like? What would your city, your province, or this beautiful country look like? It’s never too late to make a difference and it’s never to early to introduce the loving act of volunteering to our children. 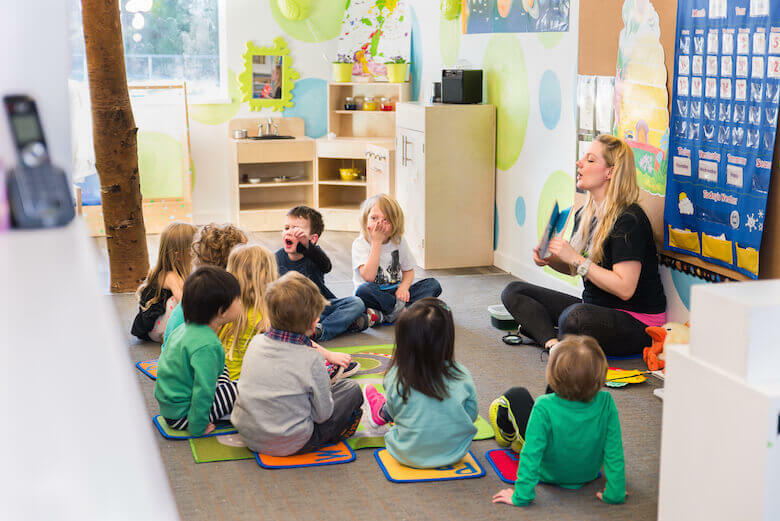 At Rainforest Learning Daycare Langley and Rainforest Learning Coquitlam, we try to teach our kids values and volunteering is one of many things they will learn.